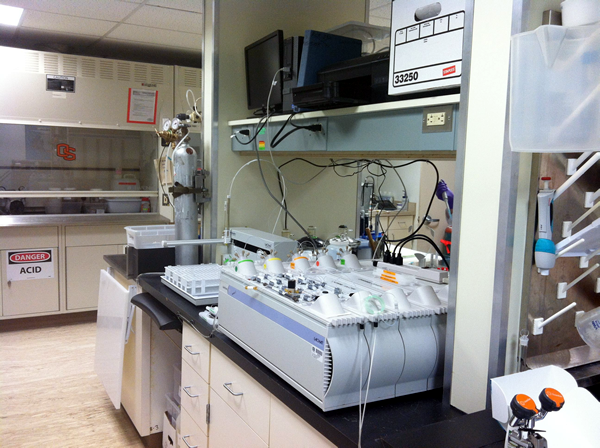 The collaboratory is a shared laboratory that provides Oregon State University affiliates with access to low cost trace level, fresh water analysis instrumentation and procedures. Researchers can receive training on instrumentation and analyze samples themselves, or they can pay staff to run analyses for them. 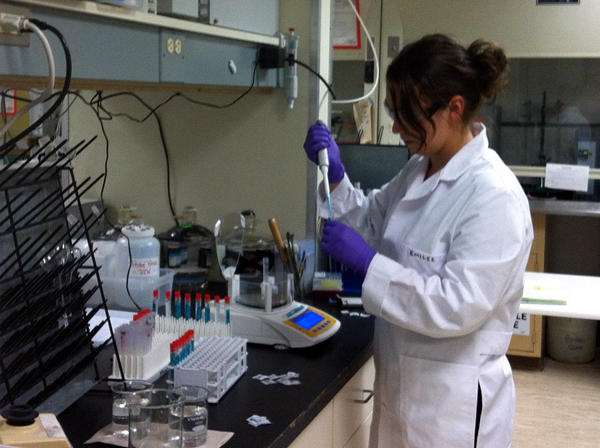 to help researchers minimize water analysis costs. 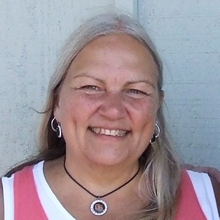 If you are beginning a project or looking for analysis equipment - please contact lab manager, Kathy Motter. She is pleased to give tours of the facility, discuss analysis methods, and provide training. She may even be able to acquire new instrumentation specific for your needs. The collaboratory's location is in the Oak Creek Building and includes a well-equipped lab, an office workspace with computers for data download and analysis, and field supplies - check below for a complete list of instrumentation and capabilities. Fees are kept to a minimum but vary depending on the equipment needed and whether the investigator will perform the analyses themselves. Other equipment will be added to the laboratory over time. If you have specific needs, please let us know - we hope this lab will be a valuable resource for you! Standard concentrates, eluent reagents and sample vials for all analyses are provided. Some glassware and sample bottles are available for use. Users are responsible for cleaning borrowed items using IWW cleaning protocols. A fee will be charged for dirty glassware or clutter left in the lab. Collaboratory equipment can only be used with clean, fresh water samples so that we can maintain the equipment for trace level analysis. If you have point source contaminates, chemically treated samples or sample matrices other than fresh water, we will help direct you to appropriate self-service or analytical facilities available on campus. General laboratory safety protocols as required by Environmental Health and Safety must be followed at all times by all lab users. Please feel free to contact Kathy! She is happy to give tours of the collaboratory and is a great resource for analysis questions and advice.